Federal crimes are incredibly scary, mostly because federal penalties are often so severe. The criminal process and procedure are unfamiliar to most targets of a prosecutor’s wrath. The investigators are usually not local law enforcement officers in familiar uniforms. Instead, they are usually from the alphabet soup of federal law enforcement agencies like the DEA, FBI, and IRS. More than 90 percent of defendants plead guilty rather than go to trial. If a defendant pleads guilty in return for the government agreeing to drop certain charges or to recommend a lenient sentence, the agreement often is called a “plea bargain.” If the defendant pleads guilty, the judge may impose a sentence, but more commonly will schedule a later hearing to determine the sentence. In most felony cases the judge waits for the results of a presentence report from the court’s probation office before imposing sentence. If the defendant pleads not guilty, the judge will schedule a trial. Hopefully, this post can remove some of this mystery and show what a big difference a board certified criminal defense attorney can make at every phase of the case. In Florida, most state court criminal cases do not involve prolonged federal law enforcement investigations. Instead, the majority begin with simple criminal conduct or police interaction from traffic stops or street encounters. But in a federal criminal case multi-agency investigations are lengthy and nerve-racking and may often involve a year-long investigation before any arrest occurs, if at all. Tax fraud cases are a good example. Generally, these proceedings start with a slew of dreaded “Dear Taxpayer” letters. Next, IRS auditors review individual or corporate finances. Finally, if the auditors find evidence of criminal fraud, they refer the matter to the Justice Department. At that point, the entire process basically starts over. In state court, defendants usually do not have the right to counsel when they are in contact with law enforcement until custodial interrogation begins. But in federal court, an attorney can intervene during the investigation process if the client is smart enough to get a lawyer quickly. A few Florida cases go to a grand jury like premeditated murder and death penalty cases. But typically in most state court prosecutions, the prosecutor simply files a charging document called an “information” to initiate the case. However, almost all federal cases involve grand jury indictments. The United States is one of only two common law jurisdictions in the world, along with Liberia, that continues to use the grand jury to screen criminal indictments. Generally speaking, a grand jury may issue an indictment for a crime, also known as a “true bill,” only if it finds, based upon the evidence that has been presented to it, that there is probable cause to believe that a crime has been committed by a criminal suspect. Unlike a petit jury, which resolves a particular civil or criminal case, a grand jury (typically having twelve to twenty-three members) serves as a group for a sustained period of time in all or many of the cases that come up in the jurisdiction, generally under the supervision of a federal U.S. attorney and hears evidence ex parte (i.e. without suspect or person of interest involvement in the proceedings). Knowing is half the battle when it comes to federal criminal defense. 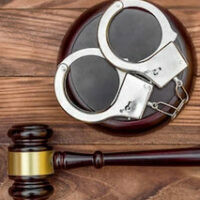 For a free consultation with an experienced criminal defense attorney in Tampa, contact The Matassini Law Firm, P.A. Convenient payment plans are available.